​ dedicated to expressing our divinity and honoring all through spiritual practice, education and service. 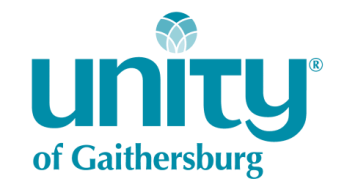 As a spiritual practice, we generously engage in heart-centered and ongoing service, outreach and giving within Unity of Gaithersburg and beyond. In prayer we affirm truth and expand our ability to behold the divinity of all that is. In each moment we choose to appreciate life’s abundance with joy and open hearts. We recognize and claim life’s infinite flow. We give thanks for our ever-expansive prosperity. Living from Unity principles we embody and consistently practice honesty, accountability, transparency and non-violent communication.